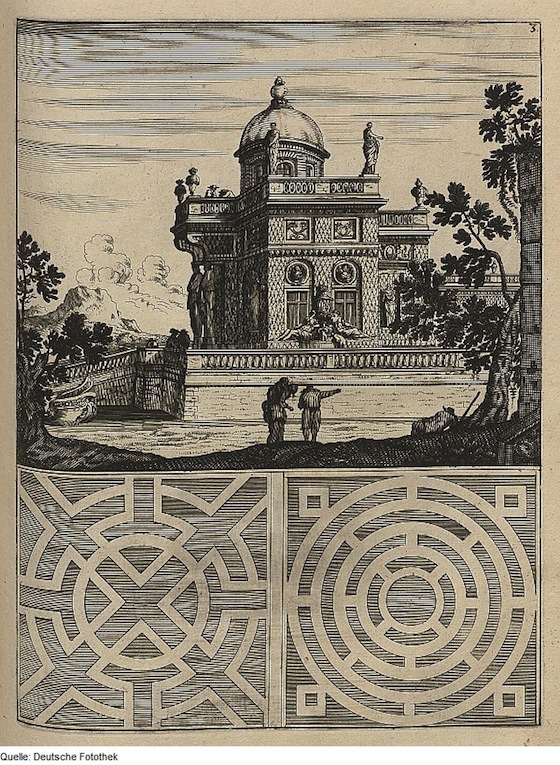 Selected illustrations from the German architect and engineer Georg Andreas Böckler’s Architectura Curiosa Nova (1664). 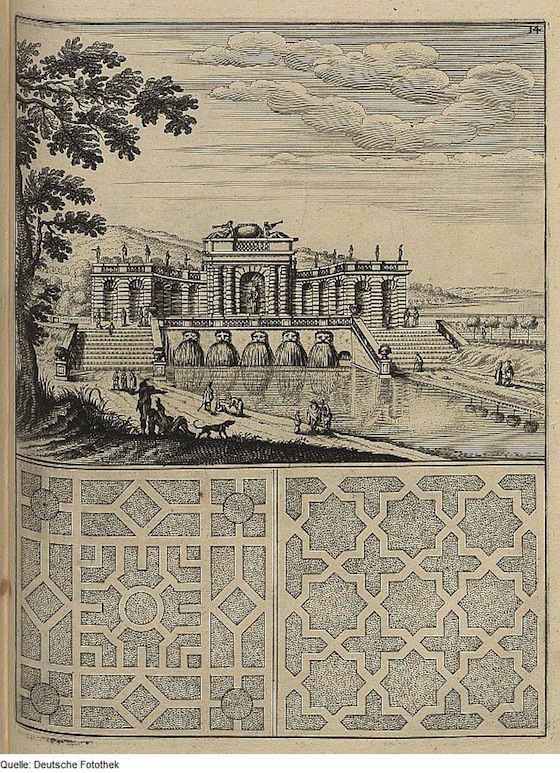 The book is mostly concerned with the theory of hydrodynamics, water pump systems and different designs for water fountains, but also contains this series of elaborate geometrical pleasure garden designs. It’s not entirely clear whether they are projected plans or a record of what already existed (if anyone knows then please do let us know!). 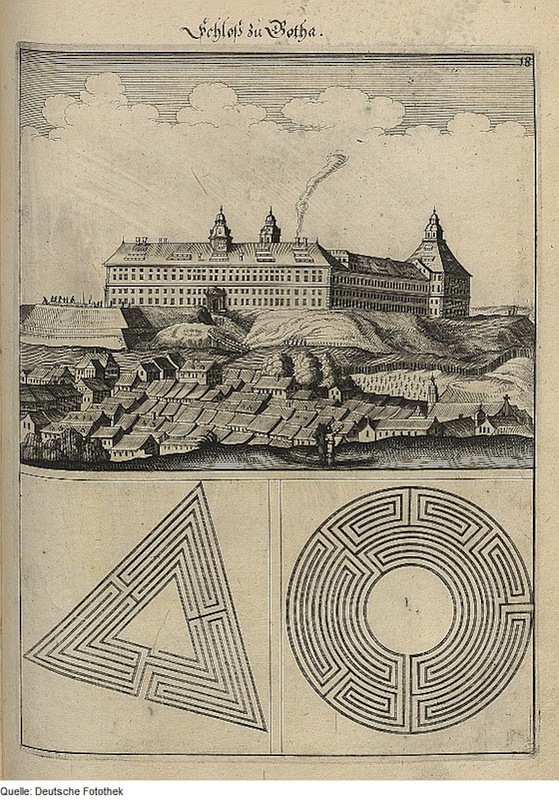 View of the Gothaer Castle with ground plans of the pleasure garden. 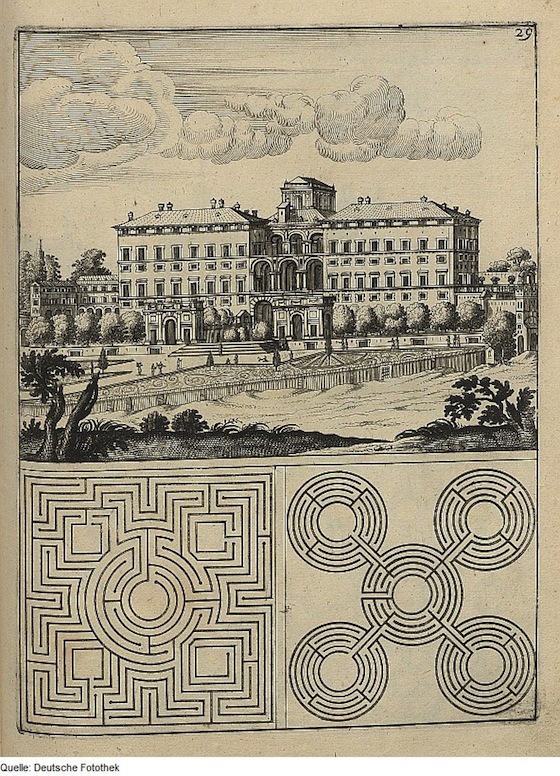 Villa Mondragone with plans of the pleasure garden. 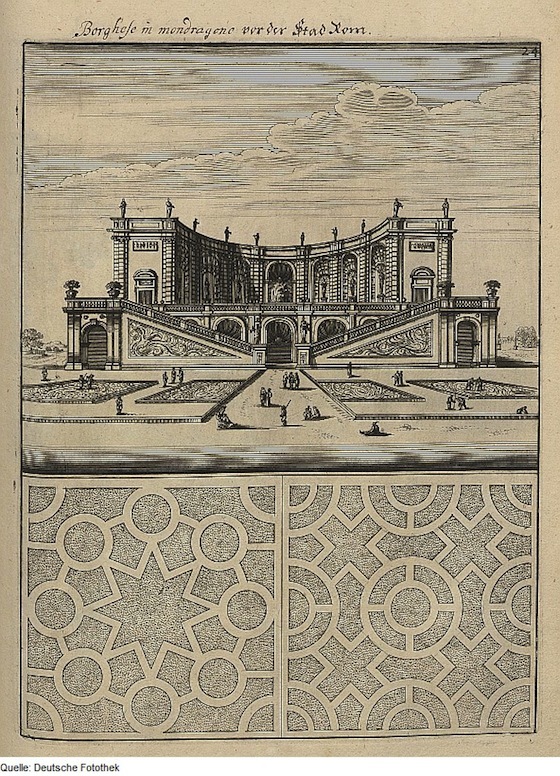 Grotto with cascading fountain in the castle at Saint-Germain-en-Laye, with ground plans of the pleasure gardens. 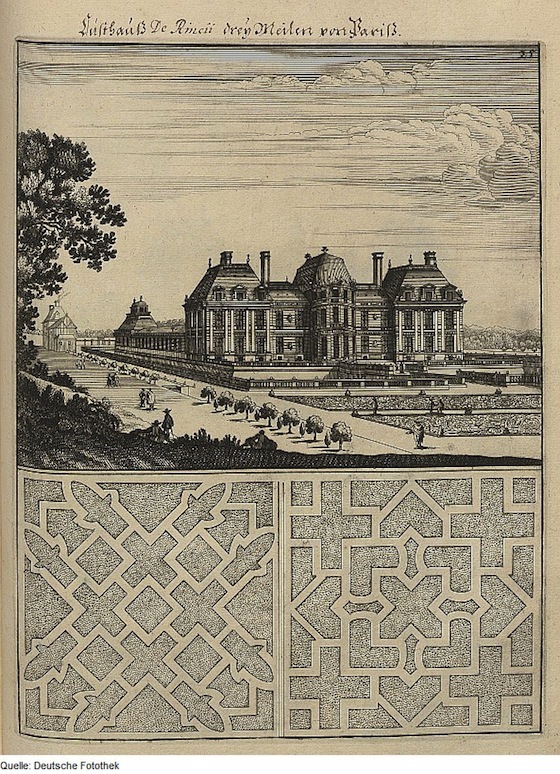 View of the Palace of Jules Mazarin Lustgarten, with ground plans of the pleasure gardens. 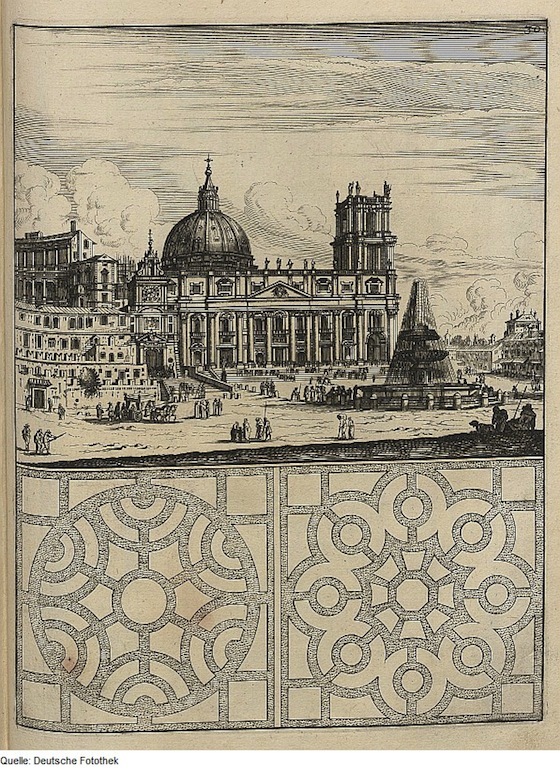 Front view of Saint Peter’s Basilica in Rome, with ground plans of the pleasure gardens. 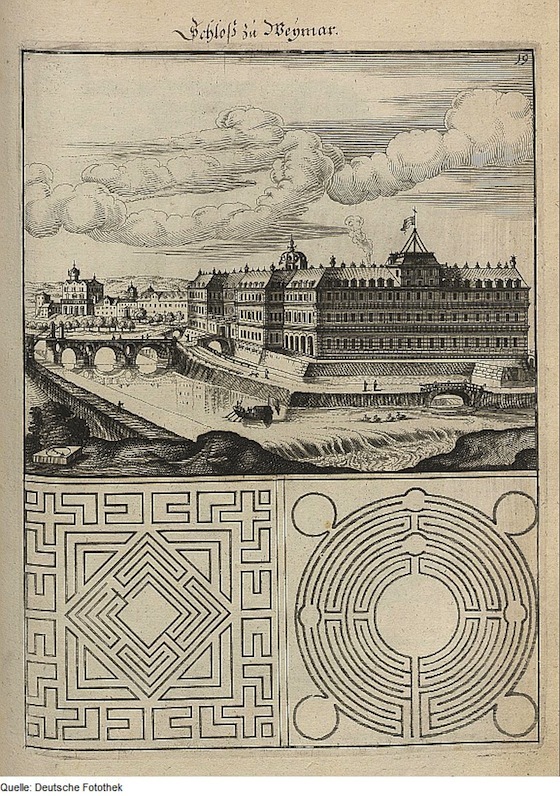 View of Weimar Castle, with ground plans of the pleasure gardens. 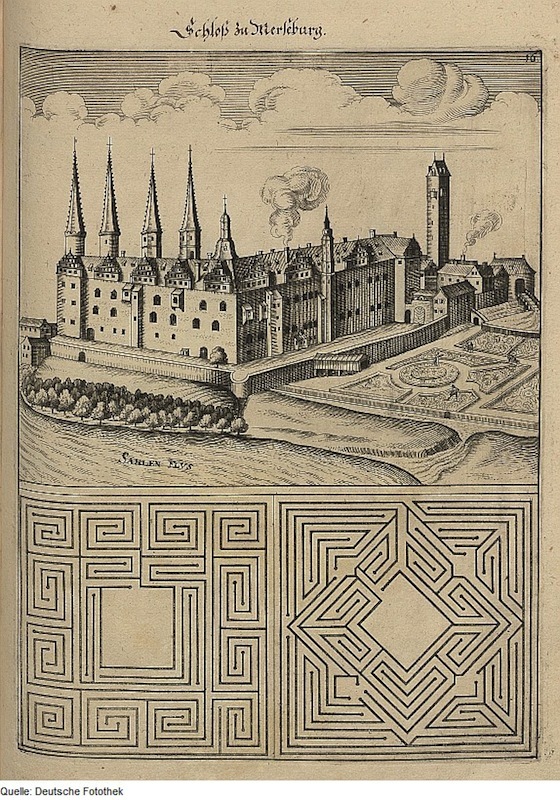 View of Merseburg Castle, with ground plans of the pleasure gardens. 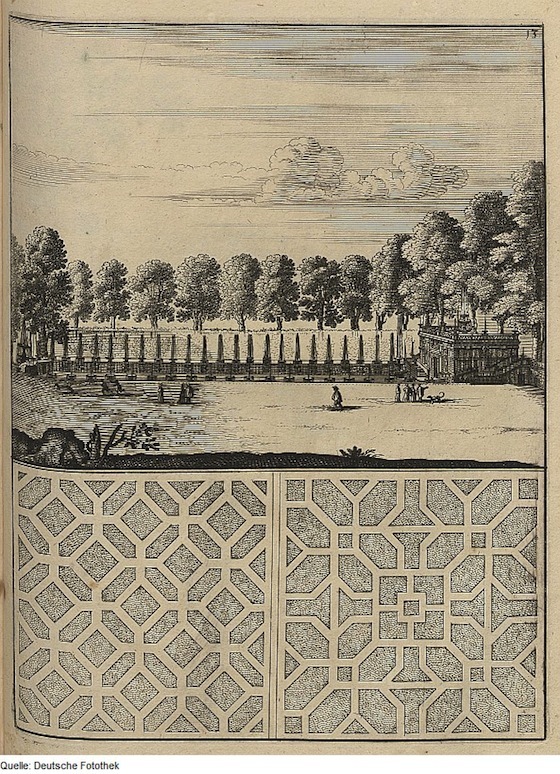 Gazebo with fountain, with ground plans of the pleasure gardens. 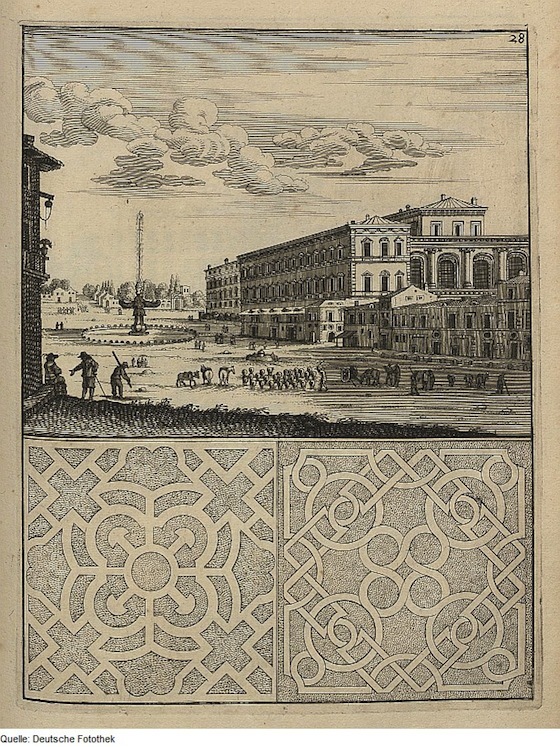 Palazzo Barberini in Rome, with ground plans of the pleasure gardens. Grotto with fountain garden of the castle Tanlay, with ground plans of the pleasure gardens.